Many chefs feel that MSG gets in the way of a good meal. That is why we give our customers an option so that they can choose the right rub for their menu. 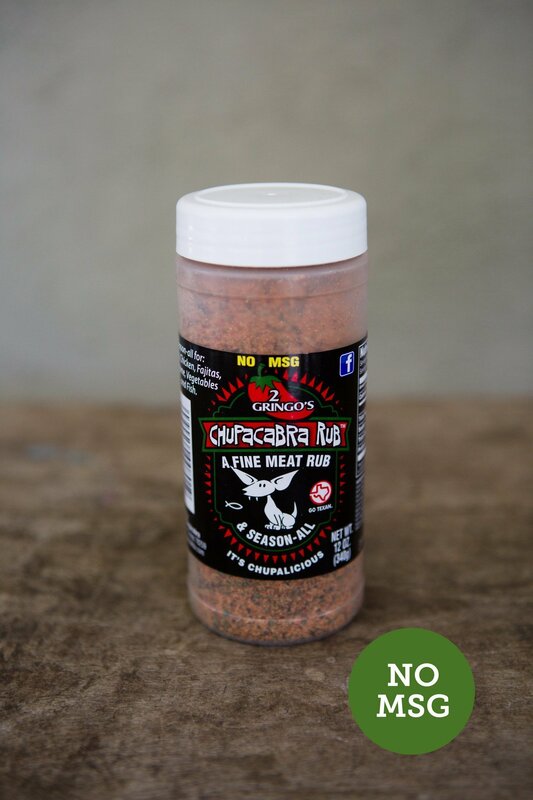 2 Gringo's Chupacabra BBQ rub without MSG has the same flavor and packs the same punch, so the only thing that will be missing from your meal with this rub is a little extra sodium. In fact, this is the perfect rub for people who love made-in-Texas BBQ rubs, but live with dietary restrictions that require them to watch every little bite, a little bit closer.